Welcome to the May 1, 2013 edition of Christian Carnival! 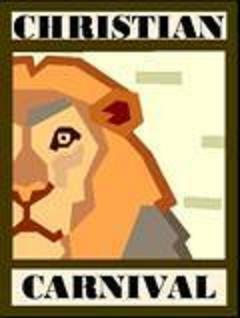 This month the carnival is Gosnell centered. Especially if you haven’t heard of Dr. Kermit Gosnell, please digest and share these articles. Kirsten Powers’ recent article on the trial of abortion “doctor” Kermit Gosnell, which ran in the April 11th edition ofUSA Today, is something not to be missed. Powers rightly calls out the odd suppression and, in some cases, revisionism being practiced by the media where the current Pennsylvania abortion trial is concerned. Her concerns are echoed by others such as Jon Healey in the Los Angeles Times. This post will be gruesome and depressing. Not because I am making it more gruesome or more depressing but because the case just is that evil.I’ve lost sleep reading about the Grand Jury report. I’m crying. It’s probably the most evil thing I’ve read or seen. The legal guilt or innocence of Dr. Kermit Gosnell will soon be in the hands of a jury, but the larger question is how we got here in the first place. How can we as a supposedly civilized people question whether the mass slaughter of human beings is a crime? Let me share some historical perspective that may help. Happening now is the #INHUMAN TweetFest, from 8am-8pm in whatever timezone you happen to inhabit. The goal of this event is to raise awareness about late-term abortion. I had the same feeling when I first heard that, in closing statements, the prosecution asked Gosnell if he was human (WhoIsGosnell?). Gosnell giggled. Hearing that felt like hearing the anti-story to the parable of the Good Samaritan. Also check out a good 8 pages of Gosnell posts by Christian Apologetics blogs. That concludes this edition. If your submission didn’t make it into this edition, you can always try again for next week’s carnival. Submit your blog article to the next edition of Christian Carnival using our carnival submission form.